Now these days I am very much busy in my work. I am trying my best to update my blog. So today I have info about "Fix It" App. Microsoft released new portable troubleshooting app to Automatically fix your Windows errors. Previously Microsoft provides several fit it tools created for different issues like Internet Explorer issues, Windows Media player issues, Office issues, Theme issues, USB device issues, Windows Update issues, different hardware issues, Desktop issues, etc etc etc a long list is here. But Fix It brings all common tools in one portable package and you need to download it once, So it is all in one product. It was in beta stage earlier and now Microsoft released the latest final version to all. 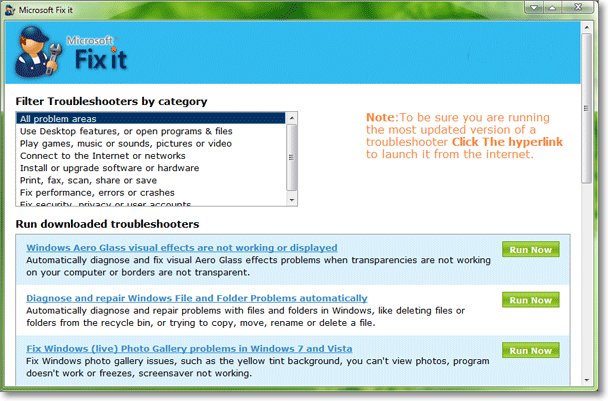 Fix it finds and fixes many common PC and device problems automatically. It also helps prevent new problems by proactively checking for known issues and installing updates. After downloading, run the EXE file and it'll download the full Fix It tools archive on your system. 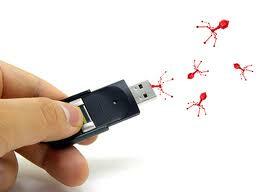 You can save thefolder in any desired location or on your USB device.